ELEAGUE will offer the first real chance esports to be broadcasted via television to mainstream western audiences since the ill-fated attempt of Champion Gaming Series (CGS) in 2006/7. ELEAGUE will feature 24 of the best teams from across the globe battling it out for a 1.2 million dollar prize pool over a ten week season, on LAN, in front of a massive TV audience. So although there are 24 teams – with almost all of the top talent being represented, what is there to make of all the teams that aren’t in this massive league? This article aims to list the best five teams that aren’t participating in the first season of ELEAGUE, based on recent form, results and individual players. The best North American lineup not in ELEAGUE, Selfless Gaming infamously gained a name for themselves, when they played under the name Enemy esports and had star awper ‘koosta’ in their ranks. However with their new Selfless motto, comes a new set of names and a new playstyle. With the three man core of ‘MAiNLiNE’, ‘Relyks’ and ‘Uber’ staying together and integrating the very young, rising stars ‘Nifty’ and ‘mitch’. Online, Selfless act as a gatekeeper side, being able to more or less consistently beat out lower order teams, whilst never being in a position to match the top 3-4 North American sides. Whilst the name of the team bleeds into the ethos of their overall system of play, with teamwork playing a large role, the clear inexperience of the team as a whole – not just in ‘Nifty’ and ‘mitch’, means that this teamwork is never surgically executed like in European sides and can sometimes be a confused mess. That being said, Selfless are one of the few teams in North America that have a structure in place – and albeit how weak that structure may be, the overall age and LAN experience of the players, combined with the potential talent individually, mean that Selfless has a high potential skill ceiling they are yet to reach. ELEAGUE could’ve provided an opportunity to give their players this much needed experience and to refine the structure of their game against some of the top European sides. Formerly known as E-Frag, the all Bulgarian squad is infamous for regularly punching above their weight and upsetting proven international sides through a unique force-buy approach combined with a heavy emphasis on raw skill and aim talent. Originally making a name for themselves in late August of 2015 under the banner of GPlay.bg by beating the top French side EnVyUs on LAN with only 8% odds on CSGOlounge in their favour. Following this upset, the Bulgarian side was picked up by E-Frag, and now Team Orbit, and have been on a solid upwards trajectory since, regularly being competitive against second-tier European sides, whilst failing to ever break into the top ten teams in the world or qualify for a major. That being said however, Team Orbit is no slouch in terms of raw skill, with every member of the side being devastatingly effect on the force buy and with rifles. This skill comes with an unfortunate caveat, as Orbit’s best player, ‘dream3r’ was found to have a VAC ban on one of his accounts which resulted in a ban on all valve-sponsored events for the Bulgarian star, and forces his team to regularly use stand-in ‘pnsher’ instead. This especially unfortunate considering how the Orbit side has managed to claim the scalps of: Dignitas, EnVyUs, and Hellraisers in offline games over the last 2 months. So while it is understandable that having a valve-sponsored banned player would lower the chances of being invited to ELEAGUE, Orbit has a unique style which would add diversity to the group stage games and represents a diminished Bulgarian scene. After leading the most dominant and successful CS:GO lineup of all time, there was deep inquisition from the community about where veteran in-game-leader ‘pronax’ would take his services. Too much surprise and admittedly some initial disappointment, Team Ancient was formed, an all swedish roster, formed from a mixture of young talent, veteran experience and overall low expectations. It was apparent early on that ‘pronax’ would not be experiencing the same dizzying levels of success as in Fnatic, after failing to attend a LAN for the first three months of the team’s life-span. 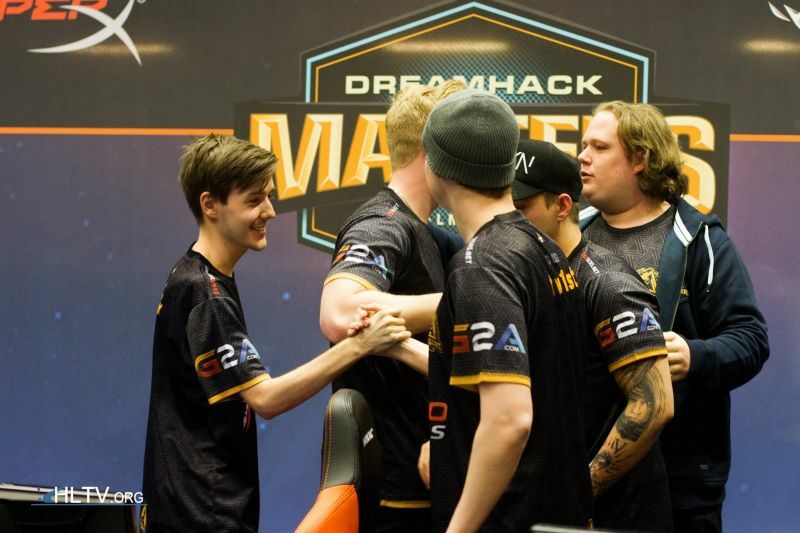 This all changed however following their qualification into Swedish LAN – Dreamhack Malmo. It was here that the side played under new name ‘GODSENT’ and also made that name mean something. With a semi-final finish and wins over Virtus.Pro, G2, CLG and a nail-biting Bo3 loss against a vintage NiP, the GODSENT roster put itself on the map. With primary awper ‘twist’ being the star power that drives GODSENT through games, whilst being supported with strong rifling from teammates ‘Lekr0’ and ‘znajder’. Furthermore the tactical system that leader pronax has put in place allows for his players to be individualistic and free, whilst still having set executes and game plans early on in the round. So although the GODSENT roster may have only recently had their success, and have had troubles more recently online, the Swedish side’s top four finish at Malmo automatically puts them heads and shoulders above many of the teams both in and out of ELEAGUE. Hellraisers started 2016 off strong – with a solid win at the European Minor over the likes of E-Frag and Penta, with star player ‘oskar’ stepping into his own. Roster troubles plagued the CIS mix-team, tempering their potential for success, with a disappointing loss to Team Liquid in a thrilling Bo3 to qualify for the MLG Columbus. This all came to an abrupt end however when former rifle star of Flipsid3, ‘bondik’, joined in late April. 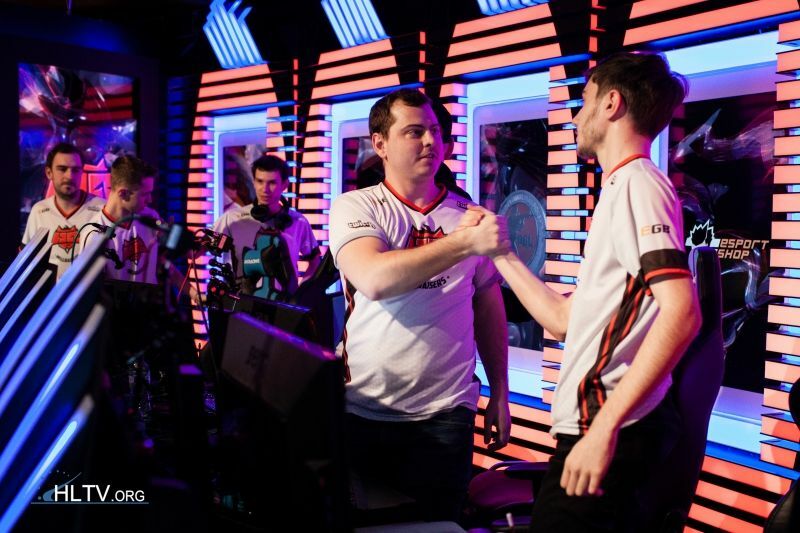 Since the Ukrainian player joined, the Hellraisers side has been on an upwards trajectory of success, placing a close second to Dignitas at Dreamhack Tours, and an easy Bo3 win over Virtus.Pro at the CEVO Season 9 Pro League finals. The side is reguarly blessed with world-class awping from oskar who acts as the star carry of the team, supported with strong rifling from ‘bondik’ and exceptional pistol/eco round highlights from ‘STYKO’. Although the confused mix of nationalities and languages might deter any thought of team cohesion, Hellraisers are a strong upset side that has a very high raw skill ceiling. The emphasis on aim and tapping heads makes the team both interesting and frustrating to watch, and whilst tactics are never in the foreground of their game, IGL ‘ANGE1’ will occasionally surprise with interesting executes or gimmicks. The Hellraisers team is a volatile mixture of skill, age and hunger and although they aren’t in ELEAGUE, expect to see them upsetting international teams in the group stages of big tournaments. 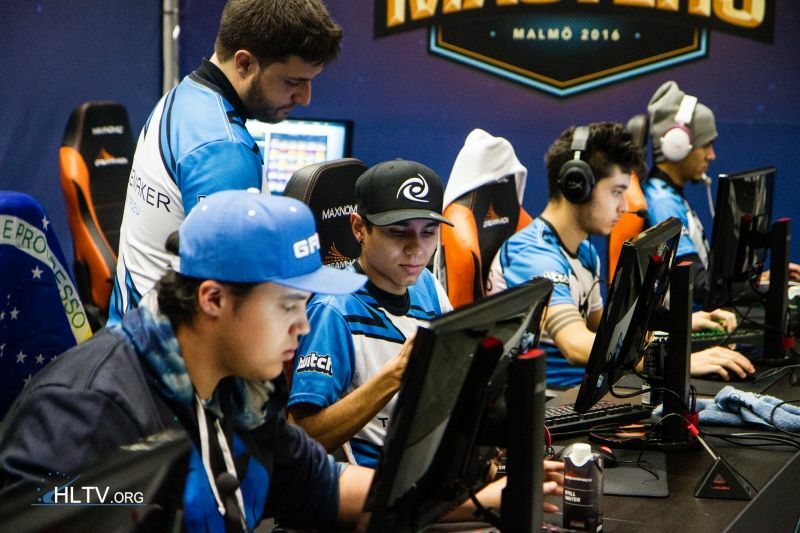 Cementing themselves in the hearts and minds of analysts and fans alike after their surprising upset run at IEM Katowice earlier this year, the young Brazilian side – Tempo Storm, have since gone on to refine their style and win their first LAN, CEVO Season 9 Pro League Finals. With Ricardo ‘Boltz’ Prass finding a resurgence of form and acting as their bedrock of consistent fragging, with his passive, KrimZ-esq style of play. The young Brazilians with this ever-present consistency can adopt a flashier, more aggressive approach in-game, with both Henrique ‘HEN1’ and ‘felps’ exemplifying this. HEN1 has the potential to be the divine force in games that can push Tempo Storm over the edge or be a complete zero sum factor; his flashy AWP style lends itself to being hit or miss, but with Boltz always being able to pull the side out of sticky situations and felps being a dominant power, he can afford to have: rounds, halves or even entire games where he doesn’t pull of the highlight clip. Tempo Storm are heads and shoulders above many of the teams competing in ELEAGUE, based on their recent results, their individual players, and their newly-found form. With most analysts having them at being the 10th-8th best team in the world, after the side claimed wins over Virtus.Pro, Team Liquid, Dignitas, and EnVyUs on LAN. Tempo Storm should definitely be in this televised competition to not only represent the South American scene but also to be competitive with many of the elite international sides. ENCE – Show signs of potential in online competitions but are yet to qualify for a big LAN, and the LAN’s they have played on have been disappointing to say the least. That being said it is always exciting to watch star player ‘allu’ drag the team kicking and screaming to the end of a game. 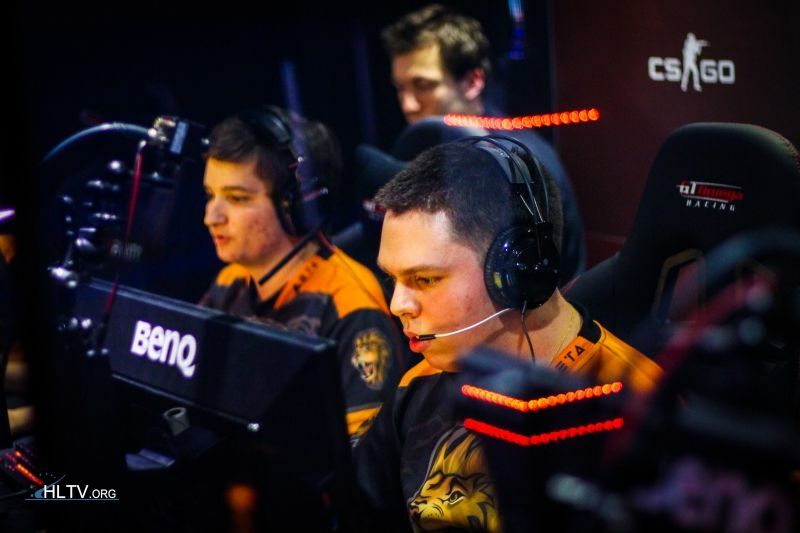 Dobry&Gaming (formerly Lounge Gaming) – Middling to poor results on LAN before an overperformance at the Starladder Invitational, where they beat Na`Vi and GODSENT in two Bo3’s. Showing a lot of potential but it remains to be seen whether or not this was a one-off occurrence.